External call center staff members may be trained to answer phone calls on behalf of multiple companies. Many call centers are large offices with a large number of employees handling either in-bound or out-bound calls. Call centers often take advantage of time zone differences so that calls made outside of regular working hours in one country can be answered in another. Call centers typically employ customer service representatives, as well as sales and support staff. A call center is an office where a company's inbound calls are received or outbound calls are made. Call centers are increasingly popular in modern society, in which many companies have centralized customer service and support functions. Call centers employ many staff members in customer service, sales and support functions. Call centers are often large offices staffed with representatives who either make or receive phone calls. Depending on the size of the call center, a single office could have less than a dozen representatives ore more than 100 staff members. Some call centers focus on answering inbound calls, such as a call center for a bank that gives out a toll-free number for customers who need assistance. In this example, representatives can provide services such as giving account balances, answering questions about transactions or taking loan applications over the phone. Other call centers focus on outbound calls, such as those for survey companies whose representatives make calls to ask people survey questions. Call centers can provide various advantages to companies. By centralizing telephone-based service and support in one location, companies can easily adjust their staffing to match the call volume. Call centers can be located almost anywhere, allowing companies to take advantage of time zones and cheaper labor rates in different regions and countries. They also centralize the technological needs of companies, allowing major telecommunications setups to be installed in a limited number of call centers instead of a in many smaller offices. This helps make maintenance, upgrades and training easier. Many call centers use various technologies to help improve performance and customer experience. Inbound call centers often use automatic call distribution, in which incoming calls are assigned to representatives in the order in which they are received. Other call centers utilize call monitoring, in which customer calls are randomly monitored by quality assurance staff members to ensure that phone representatives meet the customers' needs. Call center technology evolves constantly, helping call center staff members assist customers more efficiently and effectively. Call centers have become increasingly popular as outsourcing has increased. In outsourcing, a company contracts out some jobs to be handled by other companies. Maintaining call center equipment and staffing can be expensive, so some companies choose to outsource their telephone functions to an external call center. In this case, external call center staff members can be trained to answer phone calls on behalf of multiple companies. What is a Web-Enabled Call Center? What are the Different Types of Survey Research? Does a call center work for one company or multiple companies? Do not work in call centers. It will be a waste of your time and life. It is a dead end job, and an odd job. Join an industry that can give you growth in future. Call centers will ruin your youth. Can you tell me what are the major features of a call center, and do people need to have experience in no inbound and outbound call transactions? Why do the bosses ask me these questions in an interview? Many people ask about interview questions and what is the difference between inbound and outbound call centers. First off, I should know about interviews since I used to work in call centers. 1. What will the interviewer sometimes ask? What makes you qualified for the position. Please give examples of past experience, education, training. Stay on topic. 2. Will you be able to sit all day answering phones? Give an honest answer and include examples on how you can achieve it. and accepting the customer's circumstances. 4. They will ask how you get along with others. Give them your personality and traits and give examples. 5. They will ask why you want to work there. Give an honest answer, mainly something about helping others and knowing your skills. 6. They might ask you if you have questions, so have some questions in mind. Good questions would be to ask about the goals of the company, the dynamics of the company and what contributions can an employee give. A call center is a business process outsourcing company which has a lot of accounts. In every accounts there are lots of agents who are going to make and take the calls. 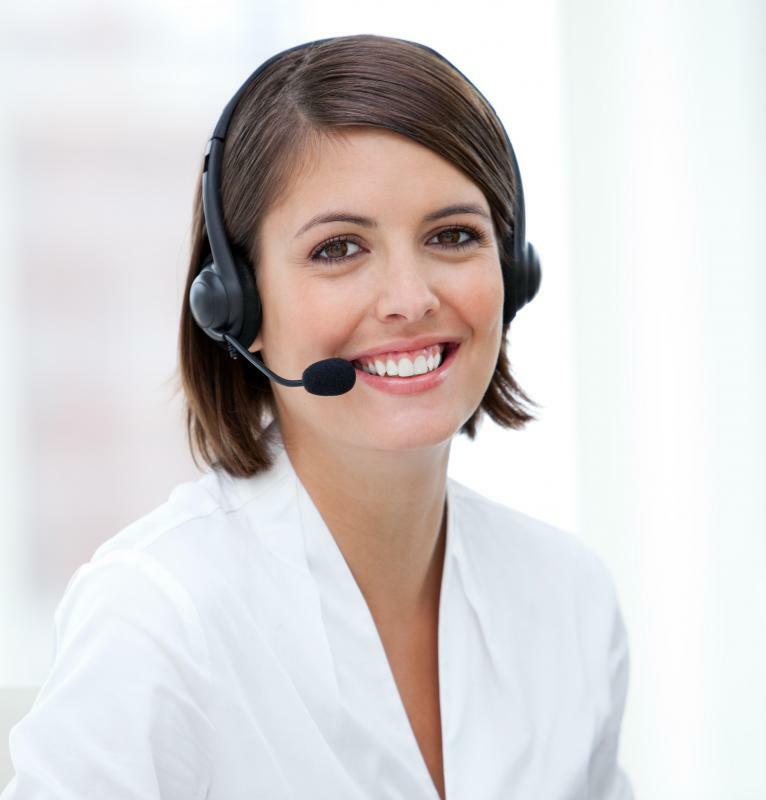 What are the characteristics of a call center agent? I want to work in a call center. So I need some tips about a call center. Basically what types of questions they want to know in an interview. to study the american accent and the intonation, but if you really love what you're doing, working in a call center is easy! @anon201245: Let me respectfully say that you do not need to get a job in a call center until you have improved your speaking skills, especially if you won't be communicating in your first language. A call center position is customer service-oriented. It will be extremely difficult for you, and frustrating for your callers, if you are unable to make yourself understood in their language. I strongly recommend you take more classes, or get private instruction from a native speaker of the language you'll be communicating in. Otherwise, you're letting yourself in for a tremendous amount of frustration and anger. I am planning to apply in a call center but the problem is I'm only good in writing, not much in speaking. Please advise me on how to deal with it. There are some hypothetical questions in call center interviews. How can I overcome it? i think, applying in a call center is just easy. all you have to do is be confident in yourself that you can really do it, and be focus to the questions thrown at you. answer them in a sentence way and support your answers, too. you need not to speak very fast as long as you are conversant and be relaxed. avoid circumlocution of words, play your american accent, avoid monotonous and transgeration. be sure to make closure when you're done. I'm not a call center agent employee but most of my cousins are, as per experience they had, that is the best attitude to have in an interview at a call center. in a call center there are inbound calls in which you talk to the the customer about your product and services and outbound in which you have to call a potential customer and convince them to use your product and services. in short, you have to generate maximum revenue. How much do call center jobs pay? is there a one week practice for those new applicants for call center agents? what are the advantages and disadvantages of being a call center agent? i want to work as call center agent hope someone can help me to answer some questions. what is call center for you? can you give me some lists of possible questions in a call center interview? including the best answers for that particular question. thank you. Can I ask you one question: do call centers offer stable jobs? somehow, even if you already have your accent and you know english, you can't avoid that you'll be intimidated by your interviewer, that causes you to stammer and sometimes run out of words. how can i prevent this? how can i get the best answers to call centers questions. Mostly a call center company hires applicants who have at least finished two years in college. There are also companies now accepting high school graduate as long as you have average or above average communication skills. is there any chance to be hired as a call center agent even though I am not a college graduate. Please post your answer immediately. do you think being a call center agent is a very hard job, and how difficult is it? Can you work a job that requires you to stay on the phone all day? Can you help people and continue to be pleasant, even when they are angry or difficult? We assist customers who speak English (or whatever language). Are you fluent in English? Can other English speakers understand you when you speak? Will you be at work every day? Do you have a professional workplace attitude? you may or may not be asked. I can guarantee any interview questions, however, will deal with whether you are able to do the job, and whether you can help customers who are angry, while maintaining a pleasant demeanor. Your role is to represent your company and to provide good customer service. Don't forget that. How much salary do they provide. i want to do the call center. can you give me particular questions and best answers? what type of questions do they ask in the interview? i want answers. Can you give some questions with answers that are mostly asked in a call center job. what are the most commonly asked questions during a international call center interview? can you give me some tips on a call center job interview? what is the use of a call center? 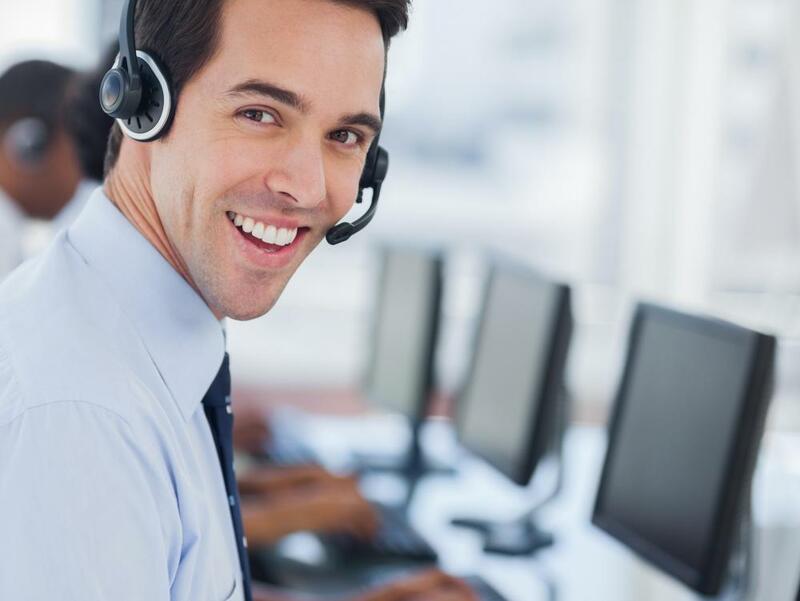 what are the main attributes a call center agent should have? I'm Van. Basically, i have the same questions as stated above and i actually had my final interview this morning with this particular call center. I won't mention the name, but sad to say i didn't attend due to lack of preparations. i really need help. i need more information and advice on how to pursue my career. thanks! What do the letters BPO stand for? what are the most commonly asked questions during a call center interview? To all who posted, wondering about a call center interview. Questions for a call center interview are much like the questions for any other job. The interviewer will listen to see if you have a pleasant speaking voice, first, which is of primary importance. He or she will probably ask if you've had any customer service experience before, and if you think you can be on the phone all day. You need to have a good spoken command of your language, whatever it is, if you want to provide good customer service. A heavy accent is not desirable because callers may not be able to understand you. to a call center usually have a problem or difficulty of some kind. Your job is to help them solve that problem, if possible, and to offer them an acceptable alternative if it isn't possible. You must be able to control your temper because you're bound to come in contact with people who seemingly don't want help -- they only want to scream at you, and feel no shame at doing so. You must be able to deal with these people in a courteous, professional manner, no matter how nasty they are. If you cannot deal calmly with angry callers, you don't need to work at a call center. What are the possible questions when interviewed, including the best answers? thanks. How can i face an interview at a call center? what type of questions do they ask in the interview? how can i face this? can you give me some lists of possible questions in a call center interview? what is the most important thing for a call center? how can i prepare for an interview at a call center? Why do you want to work in a call center industry? Why do you want to work in an international campaign? What is the difference between local projects and international projects? what is the most important thing for call center? what are the questions asked when we approach for the interview in the call centers. We just need some english fluency to attend an interview in a call center, and if possible, it's better to have some general knowledge, and you should be 16+ to join in a call center. can you give me the suggestions of attending the call in call centers? ow can i prepare for an interview at a call center? please help me in applying for a job at a call center. I need tips. can you give me some lists of possible questions in a call center interview, including the best answers for that particular question? thank you. What are the possible questions when interviewed, including the best answers. thanks. what are the possible questions that will come out during the interview when you're applying as a call center agent? how can i become a call center executive? please kindly give me some important questions that one is likely to face when being interviewed for call center representative. why do call center workers have a big salary? What is age limit in a call center? A nice concise article on call centers. which is the faberable call center in Nehru Place? what is the feature in call center? what is a BPO? how is it related to a call center? what are the most commonly asked questions during call center interview? can you give me some lists of possible questions in a call center interview, including the best answers for that particular question. thank you. what are the questions that might be asked in the call center interview? there are two types of call center, the inbound where in calls are made and the outbound where in calls are received. inbound has something to do with telecommunication since it involves promoting a product. can you help me on how to put up my own call center? im janzy. please help me in applying for a job at a call center. I need tips, please. Can you please share the possible questions in a call center interview? how can i join call center? my fluency is not good. May i ask for some samples of the coversations in a call center? what is the use of call center? why is there interest for BPO jobs? what is the importance of call center training? how can i relate my course in a call center job? i'm a nursing grad. Can you give me a best answer on how do you relate call center to my course computer science? How can i face an interview of a call center? A call center is bridge between company and the customer, where customer can contact to company for relevant query they have. How can I face an inverview of a call center? why have interest for BPO jobs..? ?